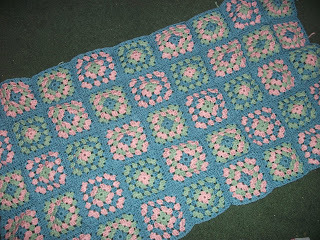 I can show them off to Bloggy Land. 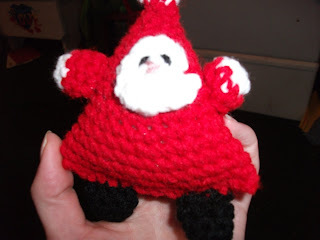 I made a boatload of these little buggers! Notice the "Part 1" in the title of this post? in the weeks before Christmas? I need 2 posts to show off everything I made! I'm glad I finished everything on time. Talk about cutting it close! Now I just need a new project! Those are so cute! And you made more stuff? Wow, lady, you were crazy busy! My goodness, you've been busy. I really love that little reindeer ornament. He's adorable! I found your blog from MckMama's. Sounds like you've been having fun! holy crow! you have more talent in your fingers that I have in my whole house. 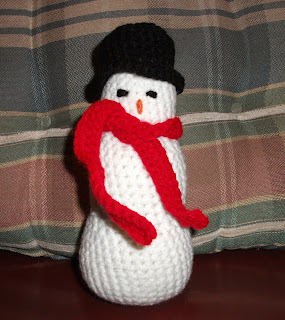 The snowman is adorable as well as everything else. How do you find the time? Wow what talent you have..
Those are so super cute! I really need to figure out how to do the whole inside thing. I just figured out how to put borders on things. I think the reindeer is my favorite! what a lot of work, and how talented you are. I'm a SITS girl, too, and your work is beautiful! Do you have an etsy shop? I'm betting you could sell a million of the snowmen and santas, and...all of it! You're so crafty. 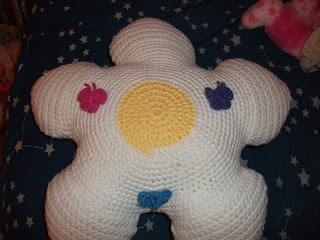 I'd have to start now in order to make anything for Christmas '10. Oh my goodness you are a rock star! what talent!! 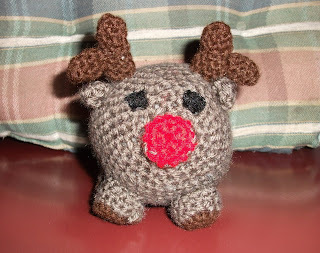 hard to pick but i think i like the rudolph the best, he's so cute! I want the snowman, he makes me smile. You did such an amazing job, thanks for sharing. Love the little amirigumi guys! 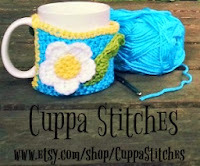 I'm a knitter, and I'd like to try some of those soon (for my craft, of course - I tried crochet and failed miserably). Here from SITS... Grats on your day as the FB! THESE. ARE. BEAUTIFUL!!!!!!!!!!!!!! Holy cow! I love all things hand made and these are just wonderful!